In terms of human civilization, the porcelain "throne" that is the mainstay of the Western bathroom is a recent development, and it's by no means universally embraced. Squat toilets, which essentially are fortified holes in the ground, still adorn many bathrooms in the world, as do actual holes in the ground. The Western toilet has been around long enough to evolve, and variations in shape, size and flushing equipment continue to emerge. A modern toilet and bidet. 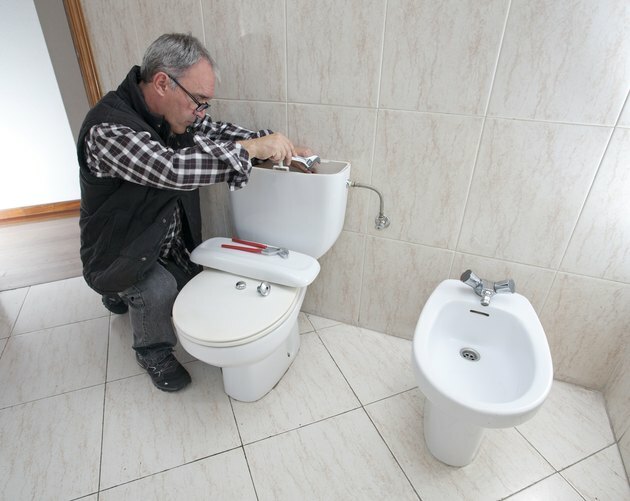 A plumber installing a new toilet. Toilet bowls can be round or elongated. The front of a round bowl, which is the more compact one, extends 16 1/2 inches from the front of the tank, while an elongated bowl extends 2 inches farther. A third size -- compact elongated -- splits the difference between the two. The typical height of the seat from the floor is 17 inches, but comfort toilets can be as much as 2 inches higher. In addition, toilets come in three rough-in sizes: 10, 12 and 14 inches. The rough-in size is the distance from the center of the waste opening to the back of the toilet; a smaller rough-in size is appropriate for a smaller bathroom. A woman's hand pushing a dual flush mechanism. Early Western toilets were gravity-fed; the tank was placed on the wall high above the bowl so the water could develop sufficient head for flushing, With plumbing advances that included smaller waste pipes, the tank could be attached to the toilet. In many modern gravity-fed toilets, a rubber flapper actuated by a handle opens to release water, but flappers are no longer ubiquitous. Manufacturers may replace them with watertight canister valves and pressure-assisted flush valves capable of efficient flushing with less than a gallon of water. In addition, many modern toilets have dual flush mechanisms -- one for liquid waste and another for solids. An outhouse in the woods. The main disadvantage of flush toilets is that each flush requires water, and water isn't available everywhere. Composting toilets keep waste confined in an airtight, vented box until natural decomposition turns it into harmless compost. Solar toilets use the sun's energy to speed the process. In an incinerating toilet, waste is directed into a fireproof box where it is reduced to ashes by gas-fueled flames. 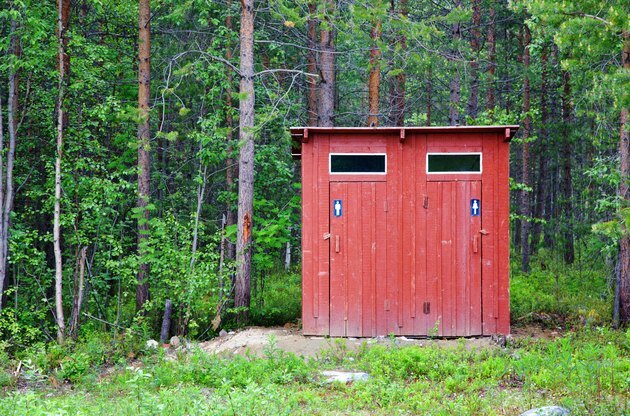 The traditional form of the waterless toilet in North America is the outhouse. People in Asia were accustomed to squat toilets before the introduction of the Western toilet, and you'll find flushable squat toilets in many Asian bathrooms, sometimes side-by-side with Western ones. 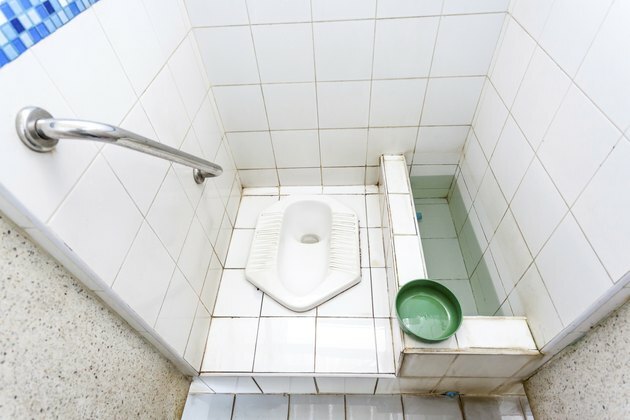 In Thailand, you may find raised squat toilets that double as Western ones. Japanese electronics manufacturers took a special interest in the comfort of users of the Western toilet and augmented it several times over with plug-in seats called washlets. They not only clean you, they keep you warm in winter, automatically clean and disinfect the bowl and even play soothing music for enhanced privacy. 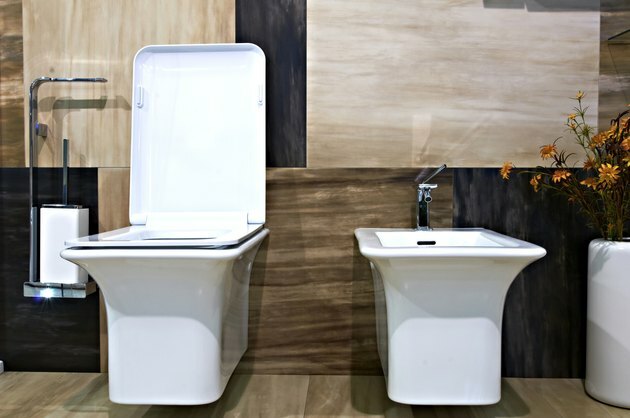 Health-conscious Germans developed the washout toilet, a Western-style toilet that provides an opportunity for inspection before pulling the flush handle.